Mascareri is named following the elite mask maker’s guild of Venice. “Those who made the Venetian masks at the age of the Serenissima were the "Mascareri", associated in the Arte dei Maschereri since 1436.” Mascareri enjoyed a prominent position within society, were well respected and lived lavish and extravagant lifestyles (similar to the art they created). Originally only 11 people were associated with the mascherer community including one woman, Barbara Scharpetta. 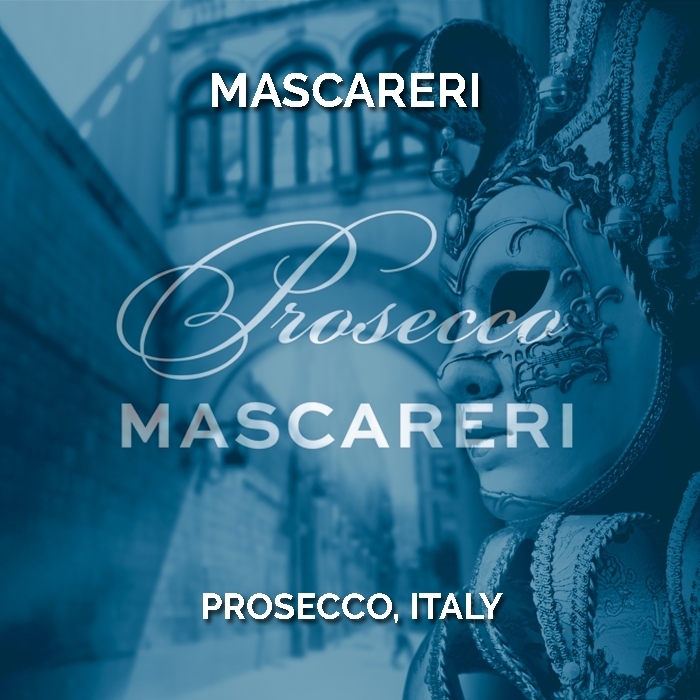 Mascareri Prosecco “Dry” DOC is a vibrant and intensely flavoured Prosecco with a beautifully balanced finish.